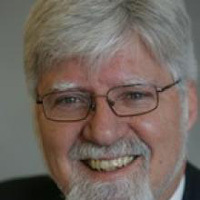 Dennis C. Smith, Associate Professor of Public Policy, Professor Smith earned his Ph.D. in political science from Indiana University. In January, 2006, he was also appointed Professor in Residence in the New York State Assembly Internship Program. He teaches policy formation and program evaluation, Performance Management, Comparative Federalism, and the International Capstone. He directed the Program in Public Administration for nine years and served two years as Associate Dean. From 1997-2002 he led the Wagner School's International Initiative where he designed the new Executive MPA of International Public Service and led the School's State Department funded partnerships with the Ukrainian Academy of Public Administration and Eduardo Mondlane University in Mozambique. Since 1985, Professor Smith has worked with the public management faculty of Escuela Superior de Administracion y Direccion de Empresas (ESADE) on management development projects in Spain. He has directed Policy Analysis in Europe, co-sponsored by Ecolï¿½ Nationalï¿½des travaux Publics de l'Etat and Universite Libre de Bruxelles (ULB). He worked with the Graduate School of International Studies at Korea University and Seoul National University's Graduate School of Public Administration.